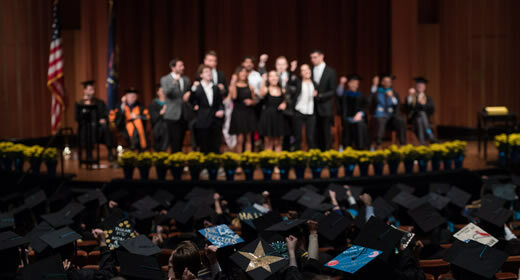 On Saturday, April 29, the Ford School honored the accomplishments of 169 new graduates at public ceremonies in Rackham Auditorium. The bicentennial class included 5 doctors of philosophy, 81 masters of public policy, 10 masters of public administration, and 73 bachelors of public policy. The faculty speaker, chosen by students, was Ford School lecturer Jon Hanson. Joseph Shea (BA ’17) and Bilal Baydoun (MPP ’17) delivered remarks on behalf of the graduating classes. And Ford School professor emeritus Sheldon Danziger, president of the Russell Sage Foundation, delivered the keynote address. This Commencement 2017 Storify gathers together videos, photos, and social media from the weekend.